The Newscoop administration interface includes a feature which enables you to keep track of who has done what, and when, on your publication's server. 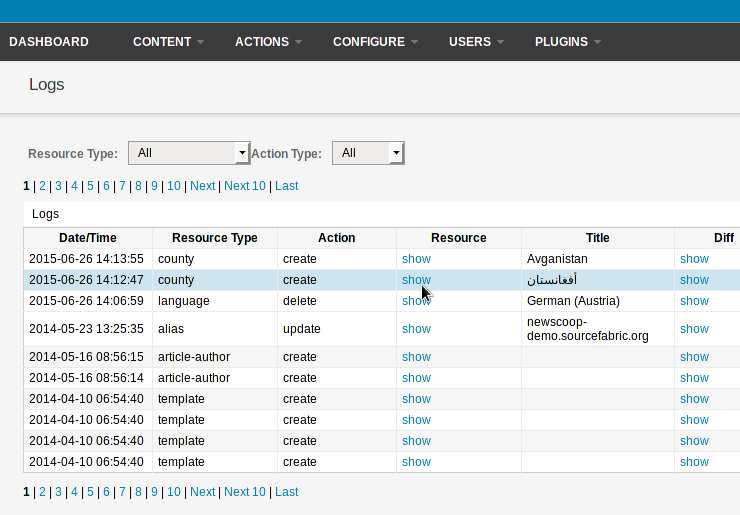 You can examine Newscoop's audit log files by clicking Configure on the main navigation menu, then Logs. The default log view displays all recent events on the Newscoop server, with ten listings per page, and the most recent events first. Click the Next link or page number just below the Resource Type drop-down menu to see previous pages. 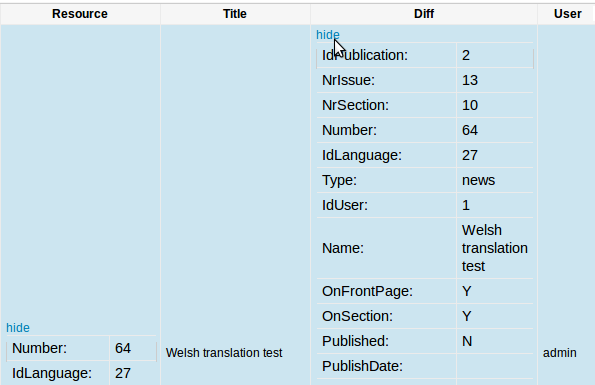 Like most features in Newscoop, the Logs page is multilingual, so you may see log entries in languages other than your own. 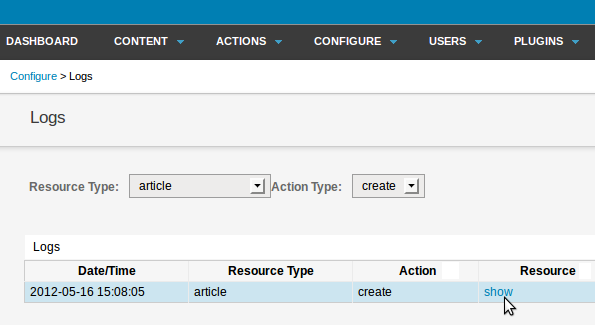 To examine the logs selectively, use the Resource Type drop-down menu to select a resource such as article, and then an Action Type, such as create. The Logs page will be refreshed to list only events corresponding to the specified resource and action types. In the Resource and Diff columns, click the show link to view details of the logged event.